Just see one of the "insider 3" who are the "supposed" close friends of Susan. One practically lives at her close friend's hotel or shops at the same stores Susan does. Another is a friend from a religious fan site who seems to have entree into her house. And a third is the self appointed chauffeur in the area. Know one of these 3 and.....Voila! instant invitation, or at least a ride past her houses. Today one showed up at her house unannounced. Do they have no shame? This is her home for G*d's sake! She is NOT performing! Maybe it is not a good time. I, for one, would not show up at a friend's house without calling. 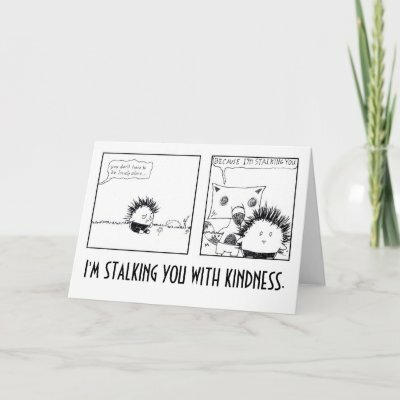 Let alone a stranger who is a celebrity. So Susan, get ready for the onslaught. With friends like those........who needs enemies! Susan has a MILLION fans at least!! Imagine if they all wanted to visit her!! Susan---I think you should now record this song....seems apropos! I guess they think Susan never wants any privacy. They could be very wrong if they believe that. She does not need them to visit her - she knows there are millions of people who appreciate her because of messages to her from Facebook and other sites but these 'fans' have to get their Susan pound of flesh. They take advantage of her for their own gratification. There is no other celebrity who would be so compliant as Susan - they use her kindness and lack of assertion to guilt her into meeting them. Time for a lecture from a "fan" who lives 14 miles away but always happens to just bump into someone from Susan's team . Just more proof that some fans are more important than other fans. Crazy me!!! And here I always thought that a former administrator had left that position. But she is still around lecturing everybody. Some things never change. Things are getting out of hand!! The members are restless! No news is driving everyone bonkers. Housekeepers are upset!! Tigers are growling! Former and present admins. are exasperated!! What to do. What to do?? 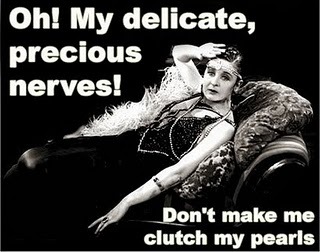 For a change other fans are getting lectures about speculating about Susan. Well most of us haven't weaseled our way into the inner sanctum of knowledge! Ah, but, as we discovered days ago here at Susahumor, the know-it-all actually knows nothing! 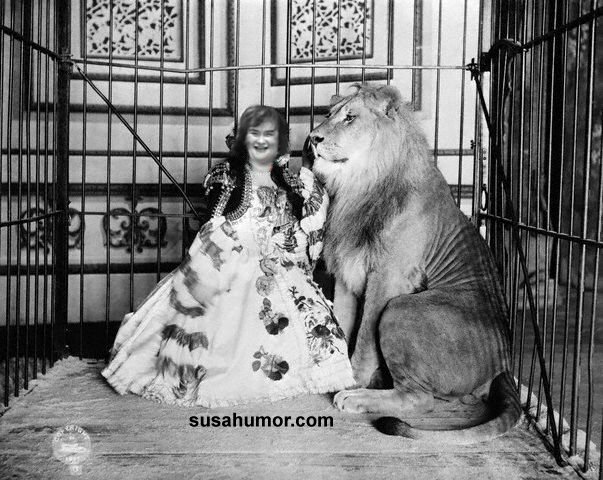 It actually appears that Susan has accidentally fallen through a wormhole that opened up in her kitchen, and is now working as a Victorian era circus lion tamer! We even found some proof! What more do they want?! And THAT is why this place is called SUSAHUMOR!!!! As speculation about Susan's whereabouts continues (apparently! 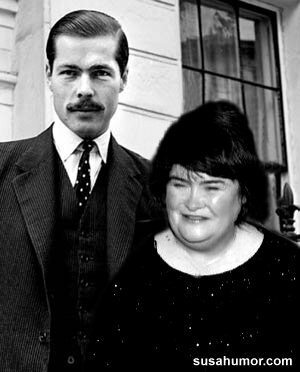 ), it now seems that she's given up on the lion taming and has now married Lord Lucan, finally becoming Lady Susan! Oh great, Susan. Did you have to wait so long and then hook up with a murderer, who, BTW, is dead? Tsk, tsk. No, she's still bouncing around! 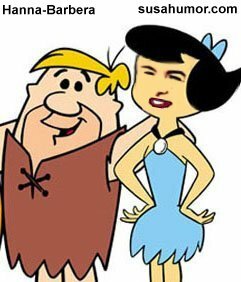 It appears she's married Barney Rubble!